Before your online course begins, communicating with your registered participants with pre-course emails can help prepare them for success in your course. When designing your pre-course emails, think about an overall pre-course communication strategy: what atmosphere and expectations do you want to set for the course? What do you expect learners to do when they receive an email? How useful will the learners find the communication? Will the learners be ready when the course begins? Follow these four key tips below to ensure your pre-course communications are effective in driving enrollment, attendance, and engagement during the weeks before your course begins. These tips are in the context of courses that you run on the NovoEd platform, but many of the concepts can be applied to other online environments as well. Learners are more likely to be socially active and engaged throughout the course if they have a sense of who their classmates are, and feel that they are joining a strong network. Consider including stats or an infographic with class size, demographics, and geographies represented. For public courses, boost enrollment by encouraging participants to invite their friends and colleagues–you can encourage forwarding of the email, or even include social share buttons (e.g. click-to-tweet, etc.). If the course has been offered before, it’s a good idea to share any positive press, stories, or testimonials from past learners. Do your best to keep pre-course emails concise, and include multimedia when possible. Emails that include videos, images, infographics, buttons, and even hyperlinks are far more engaging than paragraphs of text. Every message should include at one (or possibly more) “calls to action”, but beware of including too many–it is best to keep things simple. As an example, a button near the top of the email that says “Share this with Friends” is more likely to get clicked than if it is at the bottom of your email. The more information about the logistics and format of a course a learner has, the more likely s/he will be to start the course and become an active participant. Laying out clear expectations about the course schedule, collaboration norms, assignments, team formation, and certificate requirements will help learners know what to expect. For paid courses, you can also segment the recipients by whether they have paid or not, and tailor your messages to include reminders for those who have not paid. 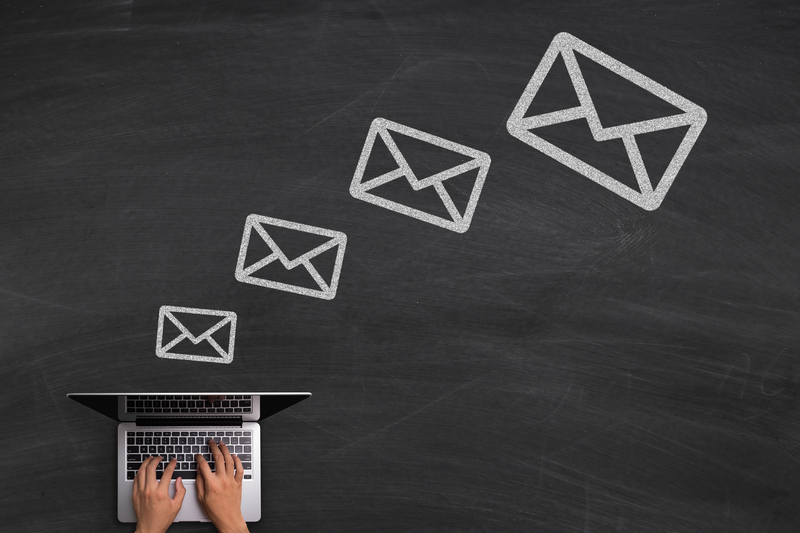 Finally, one way to create an effective email is for it to provide educational value: this demonstrates the expertise of the instructional team and shares resources related to the course content. In courses that have an instructor as well as a teaching team, it can be effective to balance emails coming from the teaching team and those coming from the instructor. This will help make the emails from the instructor feel more special. There should be more communication within the course than before it. Be cautious about sending messages when there is no action for recipients to take. Increase frequency as you approach the course start–as you get closer in, when there are more sign-ups, people are anticipating the course and less likely to grow wary of frequent communication or ignore messages. The earlier you send your first pre-course email, the more spaced out your communications should be (e.g. 4 weeks / 2 weeks / 1 week out). If you’d rather not start communicating that early, try something like 10 days / 5 days / 3 days / 1 day out. If your course has a “Week 0″, or an onboarding week before the main content is released, you can use email to encourage learners to take pre-course actions in the course, such as filling out the course profile, introducing themselves in discussions, exploring the NovoEd platform guide, and reviewing the course syllabus and expectations. During this week, we recommend having a button or link with the primary call to action to enter the course and complete those onboarding tasks. Don’t Forget About the Welcome Email! The welcome email that learners automatically receive upon registration is also a form of pre-course communication! Usually the initial message is well thought-out (remember to have a single call-to-action), but you should also consider whether it should be changed once the course has begun, for participants who sign up and join late. Perhaps information needs to be added or dates need to be changed. Pre-course communication sets the tone for the learner experience in your course. These tips will help ensure your learners are prepared and primed to fully engage in the course. You don’t have to put all of these tips to use in each pre-course message; rather, plan out your pre-course communications strategy so that it forms an effective wholistic plan to optimize the excitement and readiness of your learners.